Join our guided birding walk in the park. How many species can we find? 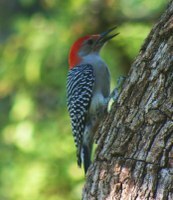 Join our Park Ranger on a birding walk in the park. We will locate and identify birds of the Cross Timbers area. Reservations are required. Call 940-328-1171 ext 222.